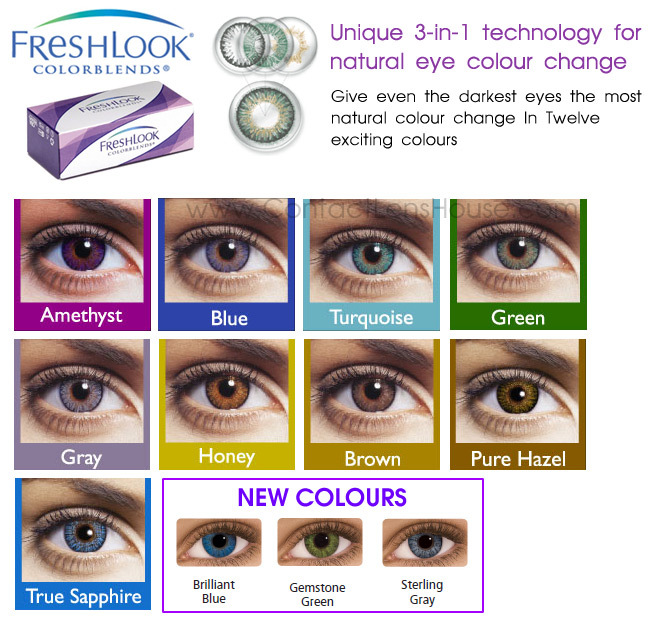 FreshLook® COLORBLENDS® contact lenses for naturally beautiful dark or light eyes offers you a wide range of desired looks–from subtle eye color enhancement to a bold, noticeable change. 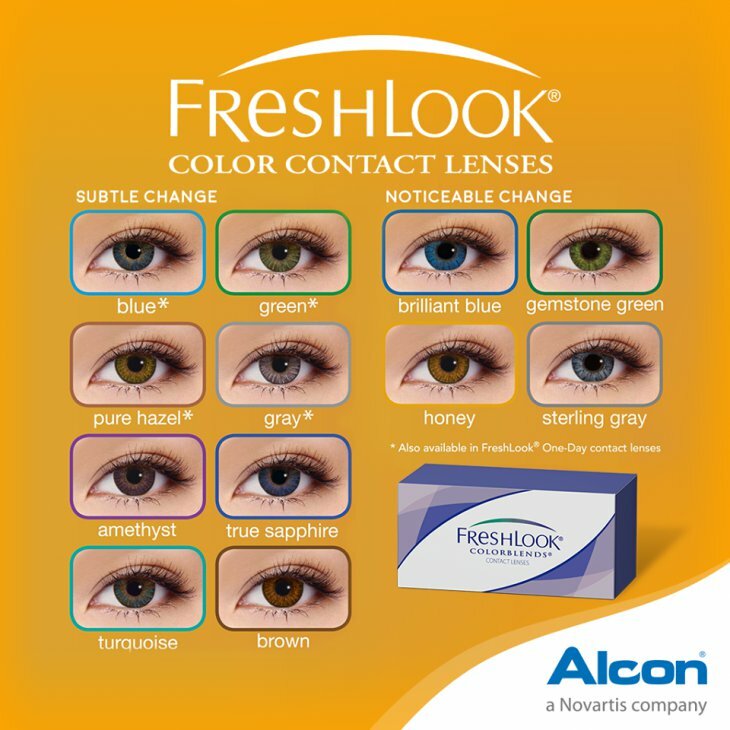 FreshLook ColorBlends® by Ciba Vision are disposable soft contact lenses that are comfortable to wear and convenient to have. The patented three-in-one technology blends three colours into one to create the most natural, subtle eye colour change for a beautiful look.